Winter in Boulder, Colorado is a hard time to be a tree. An often overlooked cause of stress for trees in urban and suburban environments is magnesium chloride toxicity. In the Boulder area, magnesium chloride slurries are often used to deice roadways and sidewalks during inclement weather; unfortunately, a lot of that slurry ends up running off and accumulating in nearby soil. 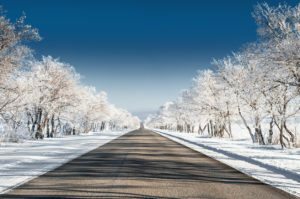 Generally, trees within 20 feet of deiced roadways will be affected by the presence of magnesium chloride, either by uptake through the roots or aerosol contact from mist. What should you look for in your roadside trees? If cold, inclement weather arrives early enough in the season, the most obvious symptom of magnesium chloride toxicity is burnt leaf margins or needles. The burned area will be brown and dry, and will often kill affected leaves entirely. If enough leaves or needles drop prematurely, it can diminish the tree’s ability to store energy for growth, maintenance, reproduction, and survival through the dormant season. Over the course of years, early leaf and needle drop will almost certainly cause the decline, and potentially the death, of your roadside trees. Later in the season (when leaves have dropped and trees have gone dormant), look for a build up of a dusty film or salt crystals on bark of the trunk and branches facing the road or sidewalk. How can you protect your trees from magnesium chloride toxicity? If you’re deicing your own personal walkways, choose a product that doesn’t contain -chloride compounds. 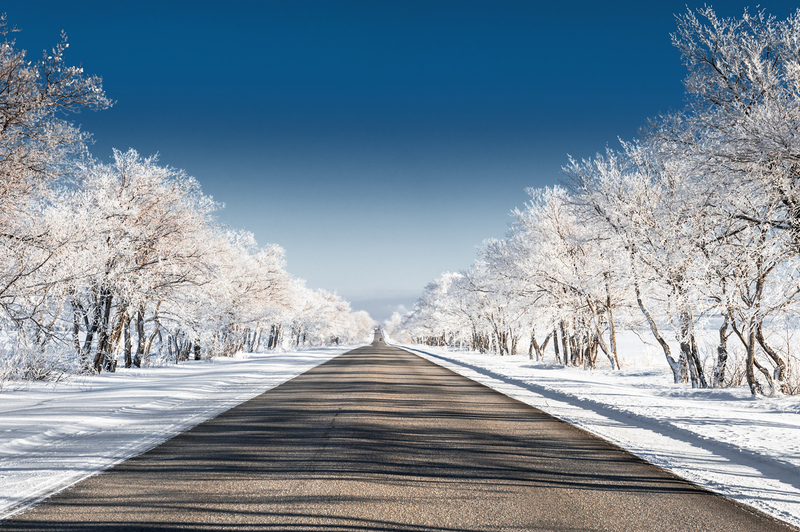 If your trees are planted along a roadside, consider wrapping the lower portion of trunks in winter, or laying down straw or putting up a fence to prevent external contact and the subsequent build up of salts via drift. Actions that can be taken any time of year include maintaining a proper irrigation, fertilization, and pruning schedule to promote vitality. Another great option is regular aerated compost tea treatments, which help improve soil structure and composition and may help bolster root zone health and functionality. Most certified arborists agree that a healthy root zone is key to overall tree health, so maintaining a regular tree health care routine is important for year round health. You may not have control over which chemicals come into contact with your trees, but proper planning, including regular tree care and preventative measures, can help your roadside trees withstand the effects of magnesium chloride toxicity.